DUBAI: New Orleans, the crown jewel of the southern United States, is a hidden gem that needs to be on of everyone’s travel bucket list. From grand cultural sites to mouth-watering food and vibrant nightlife, the city’s rich history is ever-evident within its narrow streets. Starting off a day in the city with a hearty breakfast is pivotal if you are to survive the long walks and damp, humid weather. Make your way to Surrey’s Café and Juice Bar and indulge in a low-key, delicious breakfast. There’s no question about it, the shrimp and grits are a must-order for anyone who wants to try true southern creole cuisine. With your belly full and satisfied, take a much-needed walk through the old streets of the wonderful Garden district. With large, Victorian-esque townhouses lining the sidewalks, you’d think you were in the 1800s. Once your food’s fully digested, head to the city’s main street, Bourbon, and catch a ghost/voodoo walking tour along the French Quarter. The area’s walls and stones are filled with eerie tales that will make your skin crawl, so be sure to make this a priority — along with the requisite purchase of a souvenir shrunken head. It goes without saying that NOLA’s beating heart is jazz music. Passionate, world-class performers can be found in numerous venues. Take a trip to Frenchman’s Street in the evening and watch the world come alive with mariachi beads, sax players and crooners headlining every stage. Maison on Frenchman is generally considered the top place to head to, while The Spotted Cat and Blue Nile are highly recommended as well. But New Orleans history isn’t just one of great entertainment. There’s a much darker side too, from plantations to slave markets. Paying a visit to just one such site to remind yourself of the unbearable racism the African-American population faced is an eye-opener. We’d recommend Oak Alley Plantation, where the dirt road leading to the site is lined with gorgeous oak trees. 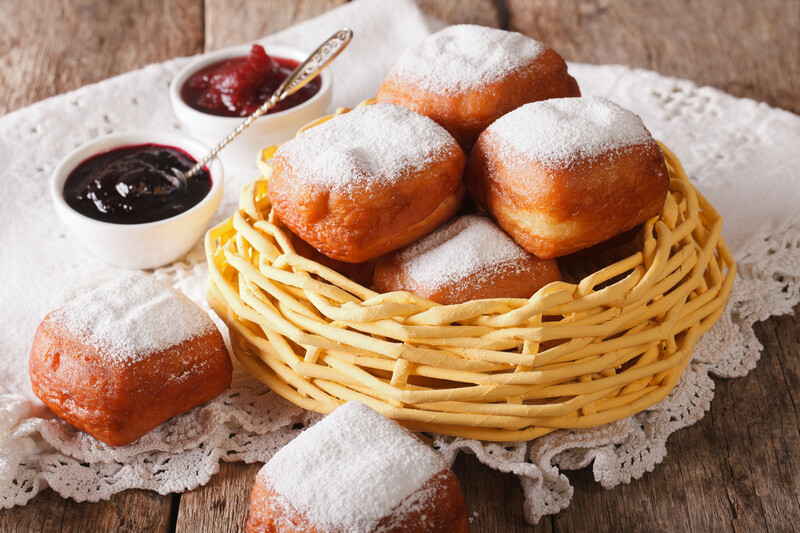 After taking in such a heavy history lesson on America’s not-so-distant past, the best way to lift your spirits is to indulge in the softest and fluffiest beignets at Café Du Monde. These powdered-sugar-covered pillows are addictive and well worth the long queue. For a feast you surely won’t forget, be sure to book in advance for traditional creole food at Antoine’s. Located in the French Quarter, this restaurant is one the country’s oldest, having been around since 1840. The venue itself offers another history lesson, with its time-capsule interior unchanged since its inception. The menu offers true high-end creole dishes, from Rockefeller oysters to grilled fish with Louisiana crawfish tails doused in a white sauce. The cuisine is an acquired taste, but definitely worth trying. If you’re looking for a more modern, less divisive take on creole and seafood, Peche is a surefire winner. This restaurant offers taste bud-tickling gumbo and the most succulent, juicy, fried catfish north of the Mississippi river. 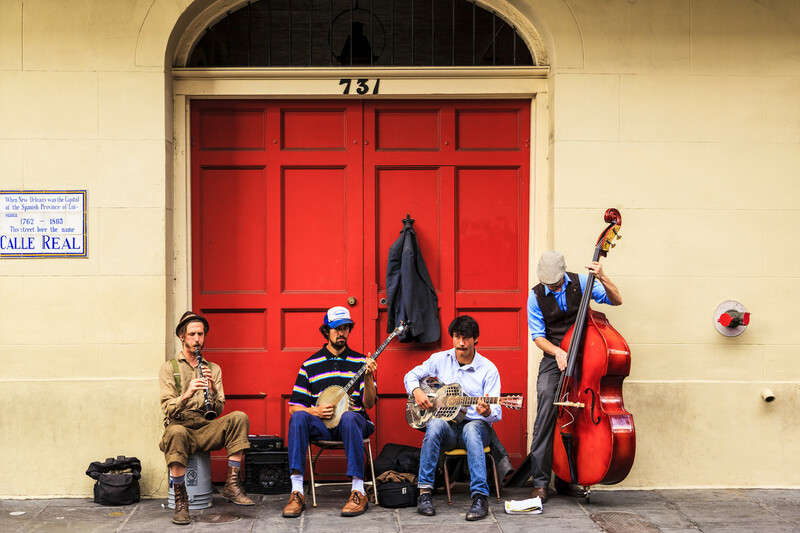 While 48 hours may seem barely long enough to get the true vibe of a city, it truly doesn’t take more than a couple of great po’boy sandwiches and late-night jazz sessions to appreciate the enormous potential of what New Orleans has to offer.